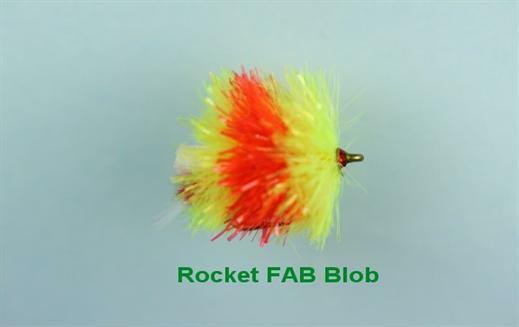 The FAB Rocket Blob combines the bright coloured Fritz with a foam tail. It was originally created for the competition circuit and has since proved popular with all still water fly fishers as it is very successful in bringing numerous fish to the net. On a Sinking Line the colourful FAB, with its hidden foam tail allows the blob to sit static mid-water. The ideal retrieve is to pull fast, stop, pull fast. The washing line method is also productive. Currently there are no comments about the FAB Rocket Blob fly pattern from other fly fishermen yet.